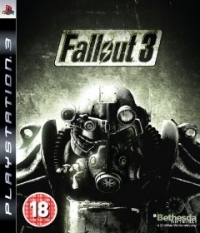 Fallout 3 is a meandering adventure through an irradiated post apocalyptic world inhabited by robots, mutants and heavily armed opposing forces all fighting for control of the scraps. This world is as much a character in the story as the people themselves, and the loneliness of the place stayed with me the whole time I was playing. I love open world games; the Grand Theft Auto series did that to me. The ability to wander as you wish and do what you like makes a game really stay with me. Not being contained by invisible walls, although there are always some however well hidden they are, makes me feel that I'm master of my own destiny. 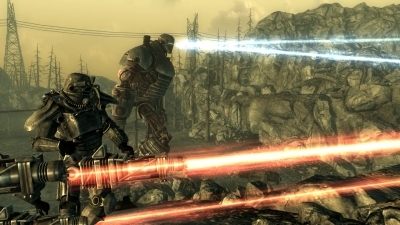 Elder Scrolls IV: Oblivion had this nailed, and Fallout takes Bethesda's game design into an alternative future. If you play one and then play the other, you will see what I mean. The way you interact with the environment and level up your weapons and character are almost exactly the same. 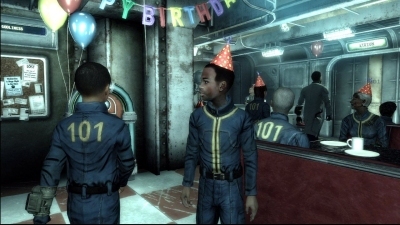 Fallout 3 starts with your character celebrating a birthday in the underground fallout shelter that is home. It is explained that people were moved to these shelters during a nuclear war and that no one can survive on the surface. The game skips forward. You wake up as a young man with sirens blaring and a friend telling you that your father has left the shelter and is now a fugitive. 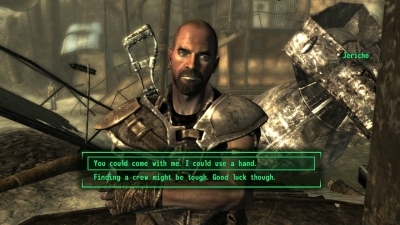 I decide there and then to go after him and after fighting my way out I am met with scenes of classic nuclear fallout. A town with shells where houses should be, litter scattered across the street and general destruction all around. The adventure had begun. 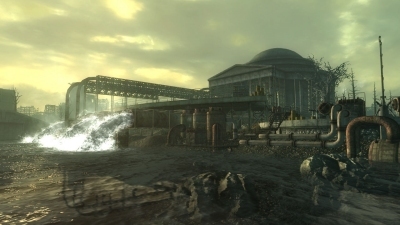 I discover a nearby town, constructed out of scavenged material and built around an unexploded nuclear device. Almost straight away, I'm presented with a moral decision. 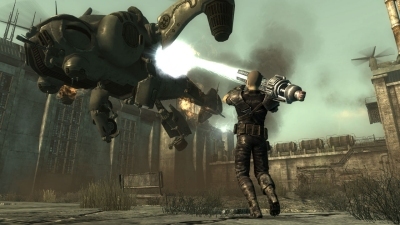 A man approaches me at the local watering hole and made the startling request, given that he had never met me before, to plant an explosive in the bomb that could be triggered remotely -- destroying the town and all of its inhabitants. The open landscape, sometimes devoid of any life, produced a suitable sense of loneliness and danger. After deciding not to carry out this level of violence within the first hour of escape, I started the search for my father. Asking around at the pub got me some information and I set out into the wide world beyond. Here I would end up being involved in a battle between two forces fighting for control of America. You know, as you do. 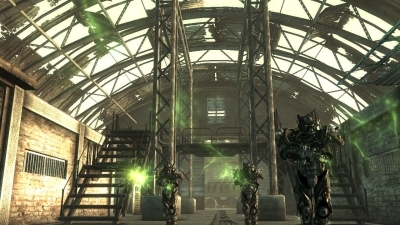 I encountered packs of scavenging humans ready to rob me at any opportunity, mutant rats and dogs, robot sentries and super mutants -- humans mutated into much taller, much stronger, much more aggressive creatures that have become cannibals. I learned to stay away from them pretty quickly -- especially those with mini guns. Throughout my travels, I was accompanied by the radio station Galaxy News Radio and its inimitable host Three Dog. He kept me updated on the happenings around the area and it was very amusing to hear him talking of a �mysterious stranger making a name for themselves' after I had completed a particularly significant part of the storyline. I had no physical companion throughout the adventure and the open landscape, sometimes devoid of any life, produced a suitable sense of loneliness and danger as at any minute a giant scorpion could be just over the brow of a hill or a robot sentry could be behind some rocks. 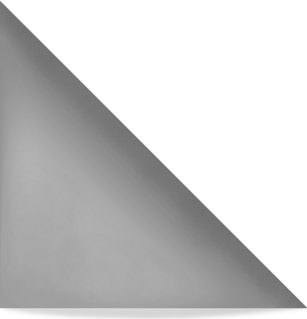 The ability to call up my map and Warp to another location, if it had previously been visited, took away from this though and it may have been possible to go through the whole game just jumping from one place to another. This would be a big shame as along each journey there are many stark reminders of how humankind could go downhill if a nuclear war was to happen. The downside of the openness of the game was that there was always something else to do besides find my father. It would have been possible to go from story quest to story quest but that would have involved missing out large amount s of the game. And who would want to miss a quest where you visit a man fused to a tree who is worshipped as some form of deity? It was this which stayed with me while I played: the solitude and threat of a world gone bad. All of this meant that the relationship with and discovery of the man that is my father seems, almost, an afterthought. I could occupy my time with so many diversions that sometimes it was possible to lose sight of the main goal. Even when I did catch up with him, events moved on so quickly that the game was over in a flash. The feeling of closeness to a man that had raised me since my mother had died in childbirth was never really evident as a result. 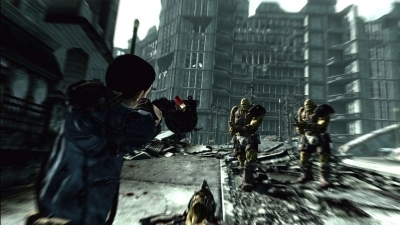 Fallout 3 provides hours of gaming with a startling amount to see and do. 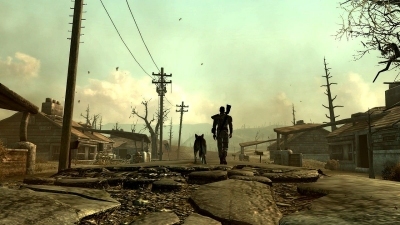 It's an interesting glimpse into a post-nuclear world, where the environment has as much to say as the characters. It was this which stayed with me while I played: the solitude and threat of a world gone bad. I enjoyed it all, but without a stronger story it remained a good rather than great game for me. Gary McCombe wrote this Perpetual Gamer article under the watchful eye of Dom Roberts. "Welcome to my perpetual gaming reviews. My quest is to look for that one Xbox 360, PS3, Wii, DS lite and PSP game that links my own ongoing life to it."